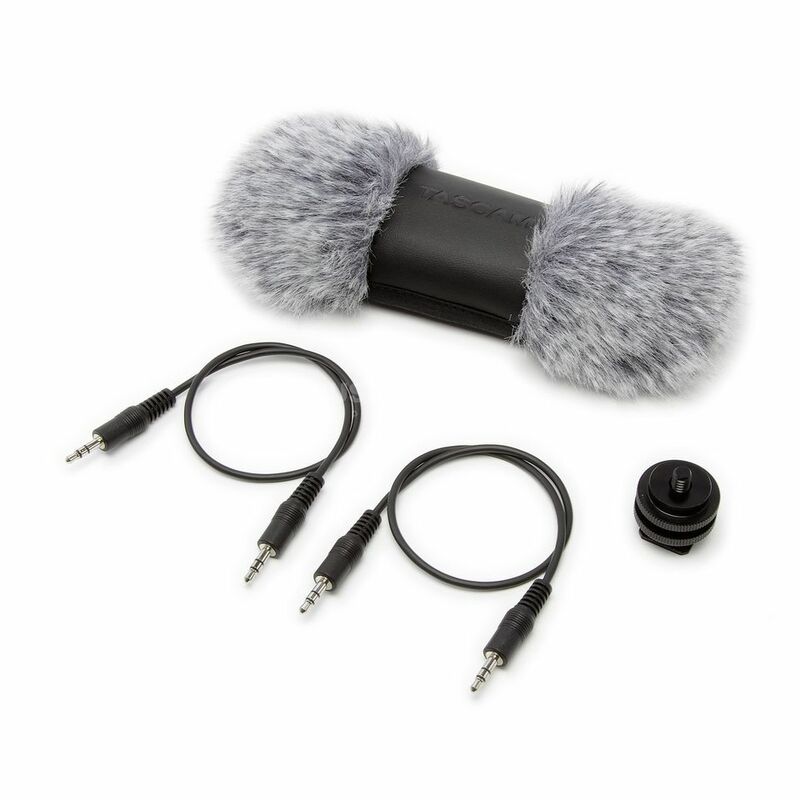 The Tascam AK-DR70C Accessory Pack comes with a fuzzy windscreen, a shoe mount adapter and two stereo mini jack cables. When filming outdoors, even slight breezes can cause mics to pick up wind noise. In order to physically prevent this noise, a fuzzy windscreen that fits the form of the DR-70D is an excellent solution. The bottom of the included shoe mount adapter can be mounted on a camera accessory shoe, and the top has a shoe mount adapter with a tripod screw. By using this adapter, the DR-70D can be attached to the accessory shoe of a digital SLR camera. Also, by mounting the accessory shoe on the top of the DR-70D case, you can use it to attach a shotgun mic or wireless mic transmitter to the DR-70D. This makes a variety of setups possible. Two 3.5mm Stereo Mini-Jack Cables for Camera Connection.